That Ying Fa (“Sakura”) dim sum post got a few true blue Ipohans overwhelmed with nostalgia, and naturally; the other equally timeless eateries arose. A place that I still hold close to my heart after all these years, was the famed Kok Kee Dim Sum Restaurant; currently occupied by a furniture shop along Hugh Low Street. Back in the 80’s, that was THE place to go for dim sum at night. While most people carry a lingering fondness from their childhood days eating dim sum for breakfast at Foh San or even Ming Court, my craving for dim sum developed after the repeated dinners at Kok Kee instead. Still remember how grandma and parents would go for the Char Siew Bao (BBQ Pork Bun), Har Gau (Prawn dumplings), Siew Mai (Pork dumplings) and fish balls, while me and brother would be waving frantically for the trolley carting the fried goodies to come over. Wobbly egg tarts, crispy yam puffs (‘woo kok’) and prawn rolls with salad sauce. Yummy stuff. Thanks to a few comments from the readers, my eyes sparkled at the mere mention of Sun Kok Kee. Wait, you mean Kok Kee STILL exists?! Still as generous as ever; the Har Gau and Siew Mai from Sun Kok Kee are comparably bigger than the counterparts from the other dim sum restaurants. Yes. Seems that one of the dim sum chef from Kok Kee (or maybe a sibling?) came out on his own and started Sun Kok Kee. And ignorant me had steered clear of this fact, and that Sun Kok Kee has graced the dim sum scene in Ipoh for much, much longer than I was aware of! 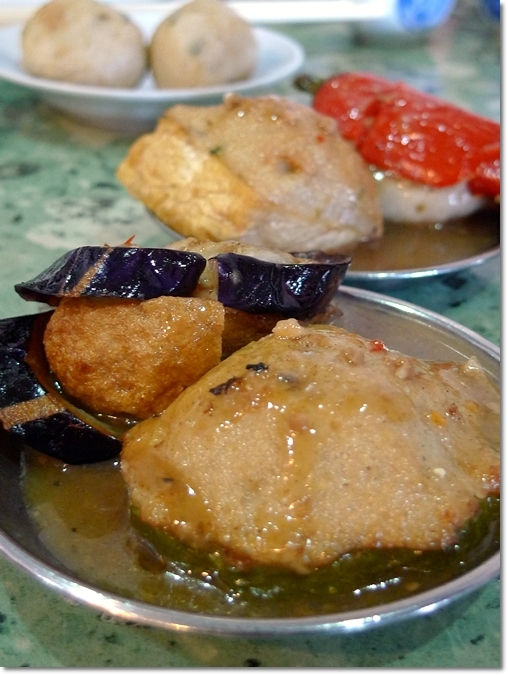 Stuffed fish paste (Yong Tau Foo) with their signature bean sauce. Definitely meant for sharing, go easy on these as the fish + meat paste packed a rather filling potential. Come one fine Sunday morning, we ventured out of our ‘cocoon’ and all the way to Bercham (not that it’s extremely far …. but yet, the thought of eating dim sum outside of town sounded weird initially) for a first hand experience at what the hoo-ha was about. 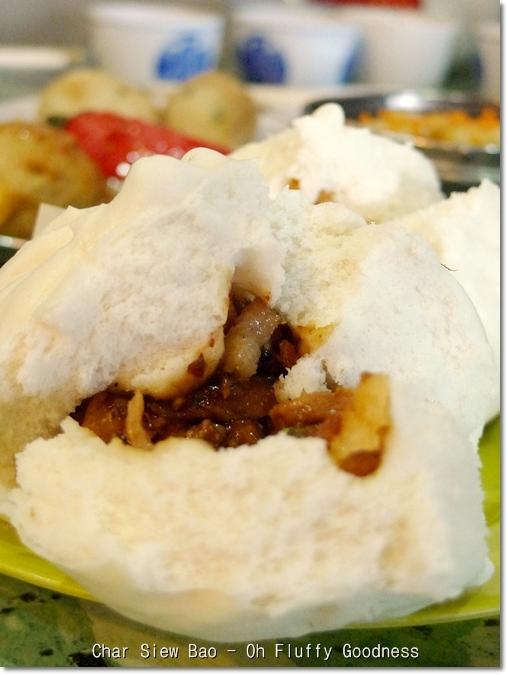 *Sun Kok Kee has been lauded by some as one of the better dim sum restaurants in Ipoh. Even if that’s slightly exaggerated to you and me, I can’t deny that the dim sum here is really, really cheap. 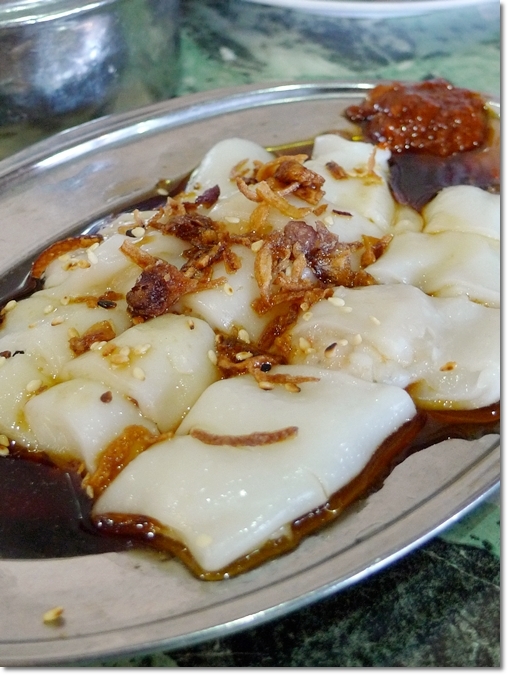 Hong Kong Chee Cheong Fun – With a choice of shrimp or char siew as fillings. The restaurant was packed, almost to a full capacity. 90% occupied at least, no thanks to the morning market nearby. Service was prompt, and the staff had this air of friendliness among them. Mostly youngsters running the place maybe for pocket money, or maybe they’re from the same family? The selection of dim sum remained conservative, with the occasional creative juices put into the various dumplings. But you won’t find fancy dim sum with cheese, mayo, wasabi or roes here, that’s for sure. Not to indicate that this is a bad thing. But should be seen in a positive light, at least Sun Kok Kee emphasizes on quality, and they do not skimp on the portions either. Not the most delicate of morsels, the dim sum arrived still warm from the steamers, and almost every piece required two bites. At least. 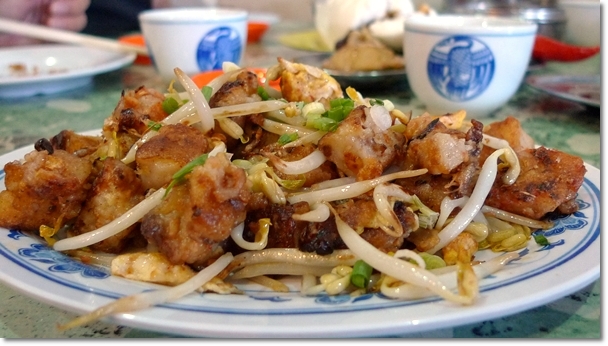 MUST-TRY – The stir-fried radish cake (Lor Bak Gou) with bean sprouts, egg omelette and chopped scallions. The Woo Kok (Yam Puff) and egg tarts are good choices. The Woh Peng (crispy Chinese lotus paste pancake) and Sweet & Sour Rolls were not as impressive. 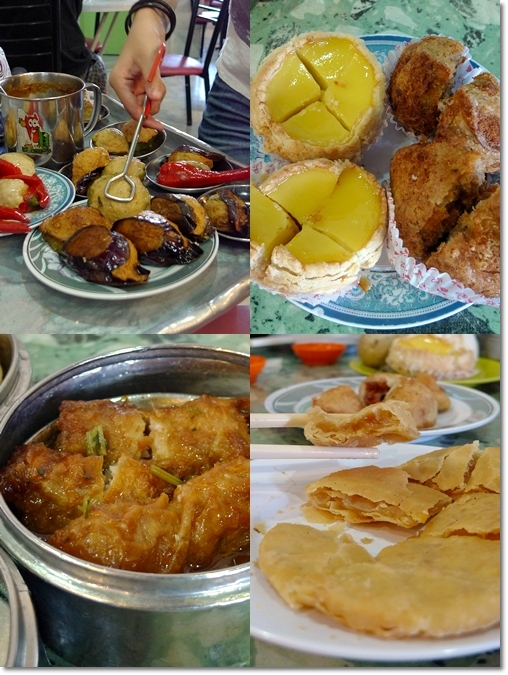 I won’t go all out and proclaim Sun Kok Kee as THE best dim sum restaurant in Ipoh. 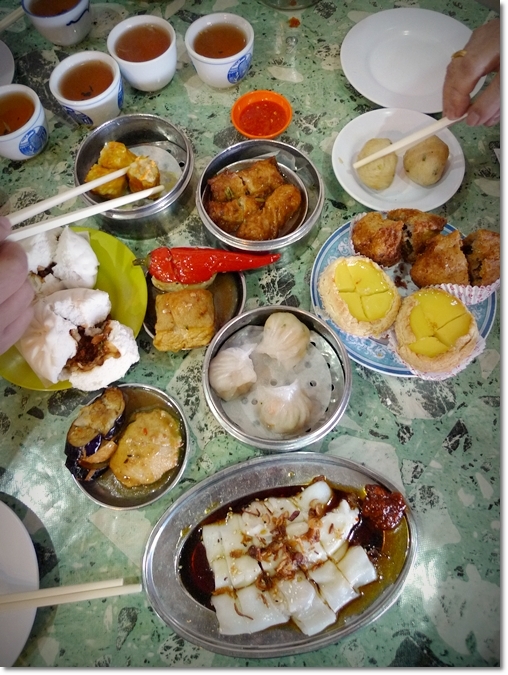 Or you should go all out and miss out on the dim sum frenzy along The Dim Sum Street of Ipoh (Jalan Leong Sin Nam) for a taste of Sun Kok Kee’s, given the rather secluded and inaccessible location. But for those already sick and tired of the waiting for a table, congested traffic, attitude and inflated prices at any of the famous dim sum restaurants in town, why not give Sun Kok Kee a try? Juicy barbecued pork within, the Char Siew Bao from Sun Kok Kee makes great breakfast, even after being left overnight and reheated the very next morning. But for those like me, whom had grown up in Ipoh remembering those moments of bliss when your parents brought you over to Kok Kee for dim sum at night, don’t you want to relive that slight moment of sheer joy? 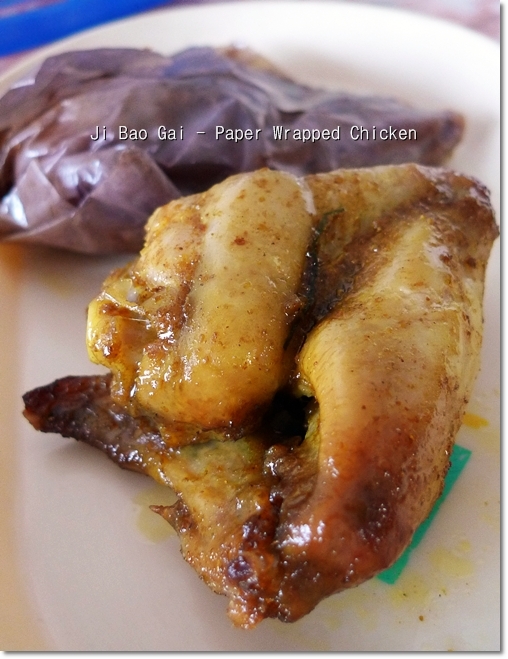 And we took away a few pieces of Ji Bao Gai (Paper-wrapped chicken) for a light lunch. Much like the argument on which outlet serves the best ‘Nga Choy Kai’ (Bean Sprouts Chicken) in Ipoh, the perennial question on choosing the best place for dim sum can be argued upon to an infinite extent. To each his own, I’d say. I love Ming Court for their tasty dim sum and various dessert soups, but hate the dainty portions and limited seats. Foh San‘s the legendary ‘tai kor’ (big brother) of Ipoh’s dim sum scene, yet after moving to its current premise, the service left a bad taste in my mouth. But their Heong Far biscuits (only during the Mid Autumn festival) are extremely addictive. Just ask wmw. Yoke Fook Moon‘s dim sum came piping hot as you can see them being steamed in front of you, literally. And they’re opened at night too! But the price is on a higher level compared to the others. Ying Fa, Sun Kim Aik (on Lahat Road), Kao Lee, Chang Keong and Chef Fatt are trying on their best terms, to compete with the BIG 3 mentioned above. In some ways, they succeeded. In the case of Ying Fa (the oldest of the lot, no doubt) that has managed to charm me with their old school offerings including their delicious lotus leaf rice and sweet and sour rolls. A spacious three lots for the dim sum lovers in Bercham and around the vicinity. The meal came to RM45/USD14.50 for the four of us, inclusive of a few take-away items. Business hours : 6.30am – 12.00pm. *This restaurant is very near to the Bercham Chinese primary school and Bercham morning market. Yeah, Kok kee was such a good place for dinner dim sum back in those days, especially the lotus paste pau with salted egg yolk ..
Ooooh, now that you mention it. I think my family did mention something about this. Eh, DT. Not sure lah. Parents did not say anything bout this. We just had the Char Siew Bao though. Already loaded from the breakfast, we ended up having to take away a few items for lunch. i want eat all of it .tasty!! I love dimsum there! Especially the chee cheong fun, and *pei dan sau yuk* porridge!! Mum also mentioned that the porridge was another one of Kok Kee’s signature item. Just that none of us are fans of porridge in the morning. Dunno why ….. but may consider trying that the next time around. Yeah, big enough to be cut in halves and shared. Remember the old buiding KOK KEE used to be? heritage building of Ipoh but been blocked and abandoned now. Yeah ……. now’s a furniture shop right? Or next to it? I only noticed that the previous Restoran Kawan (food court from back then) is now a run down piece of land with debris. love places that brings back sweet memories. being able to reminiscence the good ole times outweighs the tastiness of the food it serves sometimes. My family stayed just behind this row of shop. We have been eating dim sum here for almost 20 years now. At that time, it was even cheaper and the portion even bigger. Now it was getting more expensive and the portion had shrunk. But still better than eating at New Foh San for sure! Ooohhhh … then next time drag you and family along. So you can introduce what’s your favourite dim sum from here. 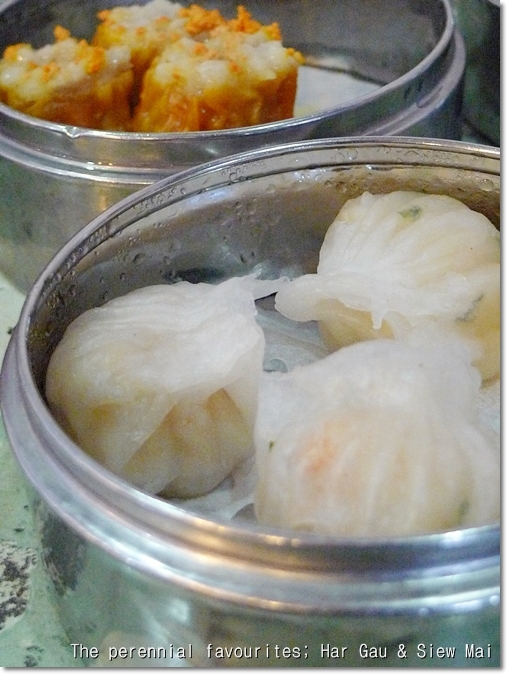 Even though you mention about the dim sum shrinking, seriously …. those were some of the bigger ones in Ipoh! hello..thanks to introduce restaurant sun kok kee??? would you mind if i share your blog to facebook of sun kok kee? Great to know more choices to go for dim sum other than the few giants. Saves us time if we want to go for a quickie! I remember this. My father will be shock to see this one. The food as usual really appetising. Too bad I just came back from Ipoh yesterday?! You WERE here?! Hey drop me a line next time. A mail or something. So we can go makan something …. The past always come back to haunt us!! I fondly remember the old Kok Kee and their delicious food. If the new KK is as tasty as the old establishment, I sure would wanna go try it out…. Ray, I can’t attest to their standards now, since I have only been to Sun Kok Kee once. But brought back memories yeah …. Went there this morning. We did not enjoy the tim sum there. Chee cheong fun tasted bland and most of the tim sum don’t taste fresh. Utterly disappointed. Went there yesterday at 9:30 am. Every thing served in cold and doesn’t taste fresh. The only item served in hot is the port of tee. So terribly disappointed. Didn’t realize those commented good was in 2010.